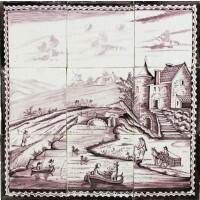 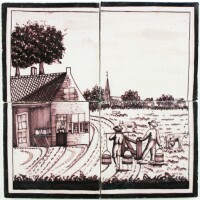 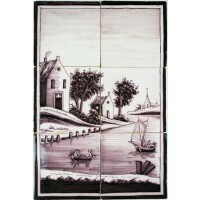 Lovely polychrome antique Delft tile mural depicting a typical Dutch landscape scene with boats, a windmill and a canal. 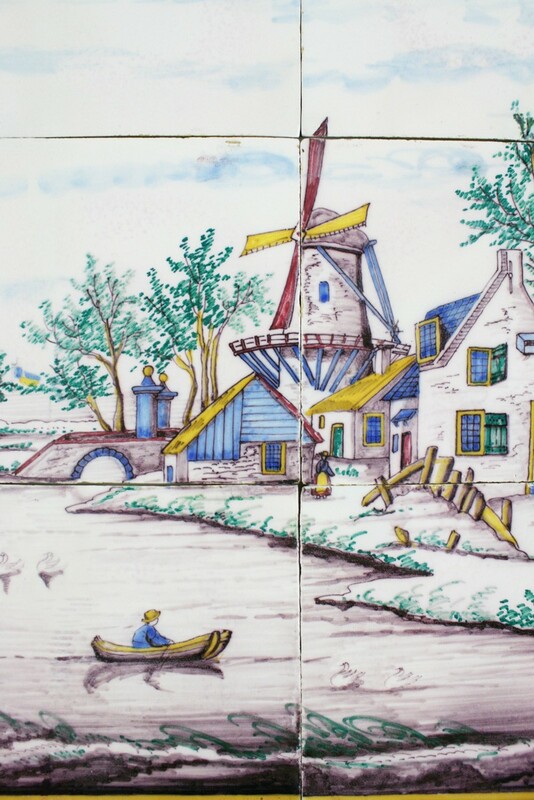 The mural was made around 1860, probably in Utrecht. 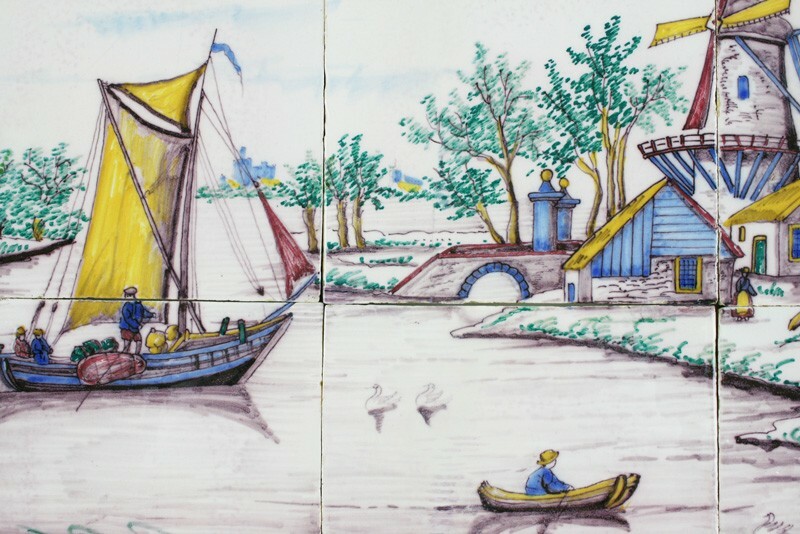 The mural was completely fabricated and painted by hand and is still in an outstanding condition. 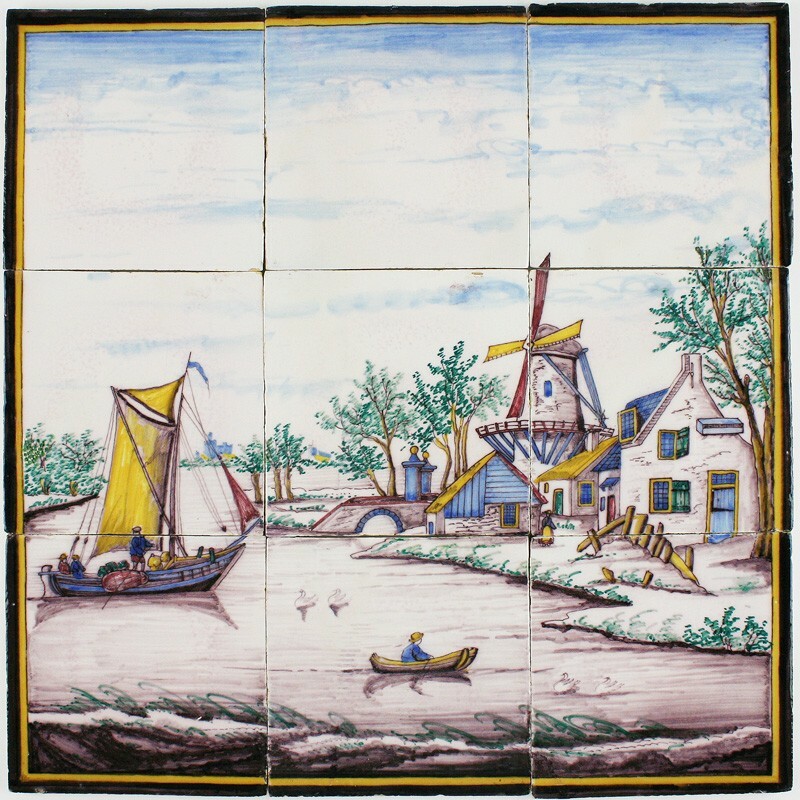 Wonderful to use for restoration or interior design projects. Feel free to contact us for more information or a condition report.